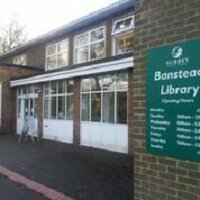 Banstead library is situated in the Horseshoe at the southern end of the High Street. There are two disabled and six free parking spaces outside the library. There is also a large pay and display car park opposite the library.